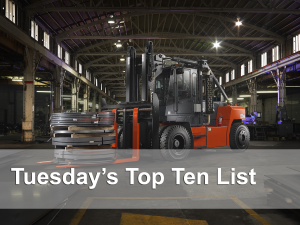 I’ve visited plenty of customers who call their Toyota forklift a nickname like “Big Orange” or “The Boss” to be able to easily identify it from other forklifts in their fleet. 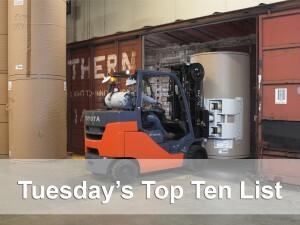 These nicknames are great when communicating internally, but knowing and understanding your forklift’s model number will help you communicate more effectively with people externally, like your Toyota dealer or other company locations. Now, I know what you’re thinking. Wouldn’t it be great if there was a simple way to help you understand those seemingly complicated Toyota model numbers? 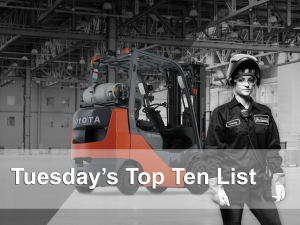 Well, look no further, because here’s your comprehensive guide to Toyota Forklift Model Numbers! As with most products, Toyota model numbers are a combination of letters and numbers with each one having its own meaning. 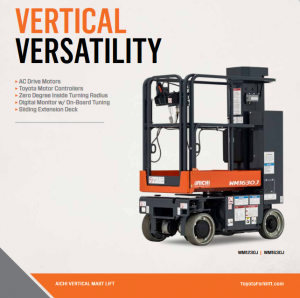 Once you understand the general sequence and meaning of each of these characters, you’ll be able to identify “Big Orange” as a THD2200-24 with pneumatic tires and 22,000 lbs capacity at a 24” load center. The AICHI Vertical Mast Lift delivers a versatile solution for tight-fitting construction and maintenance needs like piping, plumbing, and painting. 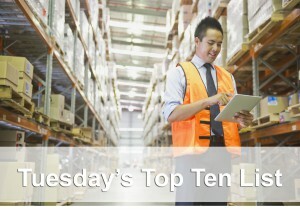 A zero-degree turn radius offers the key to accessing hard to reach locations. Using state-of-the-art AC drive motors, it also offers precise travel and industry-leading run time that equate to greater efficiency and low cost of ownership. 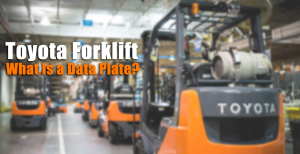 In materials handling, telematics is the underlying technology that facilitates forklift fleet management systems. 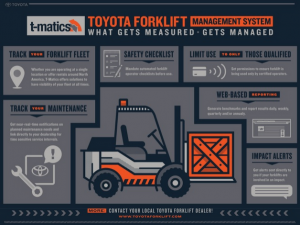 Although, it’s important to note that it doesn’t matter whether your forklift fleet consists of one truck or fifty, management systems can be incredibly useful and valuable. If you’ve heard an anecdote beginning with, “Well, so-and-so said. . .” you are likely not alone. Part of our human nature means relying on our gut instincts and, while trusting your gut is something to be proud of, doing so isn’t always appropriate. 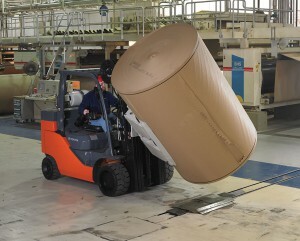 Ensuring operational efficiency and the long-term value and ROI of capital equipment such as forklifts means having a good handle on how that equipment is being used within your operation. You may have a strong hunch about how equipment is being operated, but backing up that intuition with solid data is always the way to go! A vehicle management system (VMS) is a way to make sure you’re getting the right data to help you take firm, decisive action. 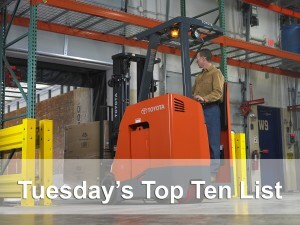 Despite their usefulness, forklift clamps are one of the most underappreciated attachments on the market. Day in and day out, they spend their time opening, closing, and sometimes swinging and rotating to get the job done. It really is a thankless job, isn’t it? Never appreciated for what they can do, but always put down the minute they start damaging product. But is it really their fault? Well sometimes it is, but oftentimes it’s no fault of their own. These clamps are under a lot of pressure (both literally and figuratively). Each forklift comes with a fixed hydraulic pressure setting which affects how tightly your clamp is going to grip onto a particular load. 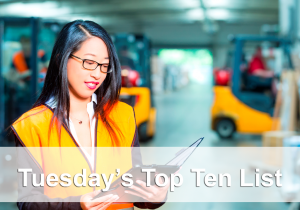 Lucky for you, there are ways to adjust this pressure setting, and this article will help you find the right one for your application.